How serious is cataract surgery? Any type of surgical procedure is serious, as they all involve some level of risk. Thankfully, cataract surgery has a relatively low occurrence of complications and a high probability of success when performed by an experienced ophthalmologist. Approximately 3 million Americans per year have cataract surgery with 99.5% experiencing minor or no postoperative complications, according to statistics from the U.S. Centers for Disease Control and Prevention. Still, you should always carefully consider the risks and rewards of any procedure, and discuss your specific prognosis with your doctor. 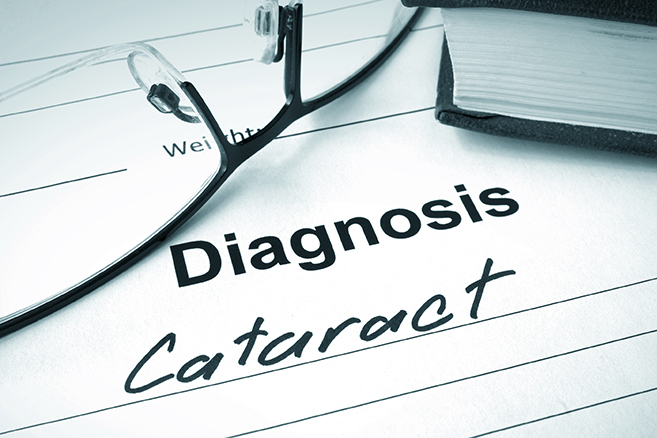 If you then choose to proceed with cataract surgery, here’s what you can expect. Cataract surgery replaces the patient’s damaged natural eye lens with an intraocular lens implant. There are two basic categories of cataract surgery: traditional and laser-assisted. The two procedures differ greatly in how they are performed, the patient’s recovery experience and the likelihood of complications. If your ophthalmologist only offers traditional cataract surgery, seek a second opinion to properly familiarize yourself with both options. Laser-assisted cataract surgery is generally preferred, as it is completely pain-free, stitch-free and produces fewer traumas to the eye, allowing for faster healing. Most laser-assisted cataract surgery patients report improved vision while still in the recovery room. Patients wear an eye shield off-and-on for up to a few days, and may initially experience some cloudy or blurred vision, and potentially some redness. These are normal short-term side effects. Some see clearly almost immediately, while others require a week or two. Your surgeon may ask you to come into the office for a follow-up visit a day or two after surgery to ensure you are healing normally. As stated before, serious cataract surgery complications are extremely rare. The procedure does not require full sedation, eliminating many potential health risks. Complications can include inflammation, infection, bleeding, swelling, drooping eyelid, retinal detachment, glaucoma and loss of vision, among others. Patients with other existing eye diseases or medical conditions are at increased risk for such complications, but the overall incidence is still less than 0.5%. This makes cataract surgery one of the safest procedures in the country. The decision to have cataract surgery is one you should always discuss with both your eye physician and family. Ask plenty of questions to make sure you have a solid understanding of the risks and benefits. For a consultation, contact North Florida Cataract Specialists and Vision Care today.